﻿ Best Price on The Atlantis Historic Inn in Bathsheba + Reviews! Located on the east coast of Barbados, St. Joseph’s Atlantis Hotel offers panoramic ocean views and an outdoor pool. The historic hotel features on-site dining and free Wi-Fi. The suite includes a plush seating area with an ocean view and a separate dining area. 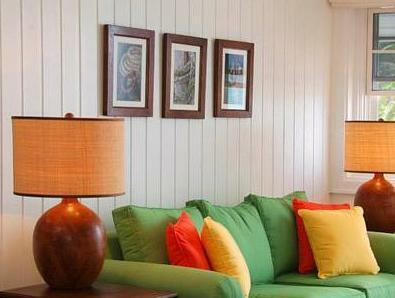 The bright rooms feature Caribbean-influenced decor and colonial furniture. All rooms include a four-poster bed. The Atlantis Hotel’s restaurant serves a Barbadian buffet using only the freshest local ingredients. The Andromina Botanical Gardens and St. Nicholas Abbey are located nearby. Please note Government tax is per bedroom per night. Upon check-in photo identification and credit card is required. All special requests are subject to availability upon check-in. Special requests cannot be guaranteed and may incur additional charges.